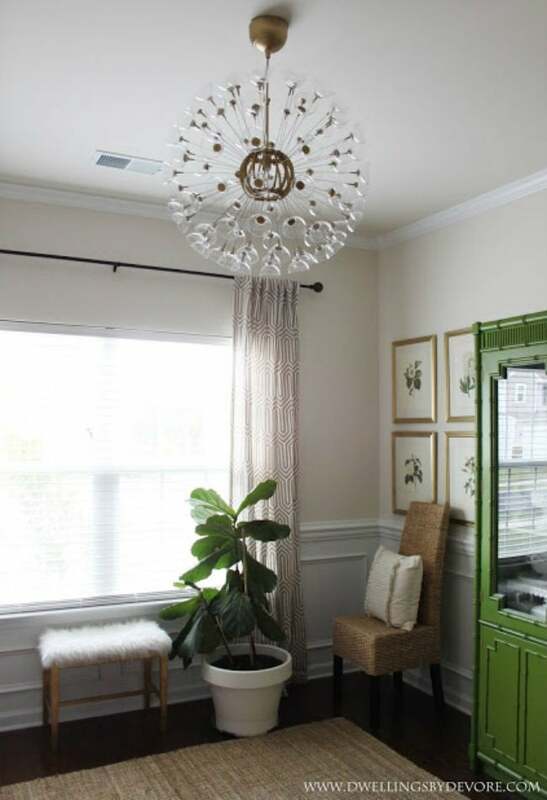 See how this blogger transformed an unexpected (and inexpensive) material into a stunningly cool chandelier. Inspired by a fellow blogger’s hack on a popular IKEA lamp, Bethany of Dwellings by Devore decided to create her own take on the statement light fixture. 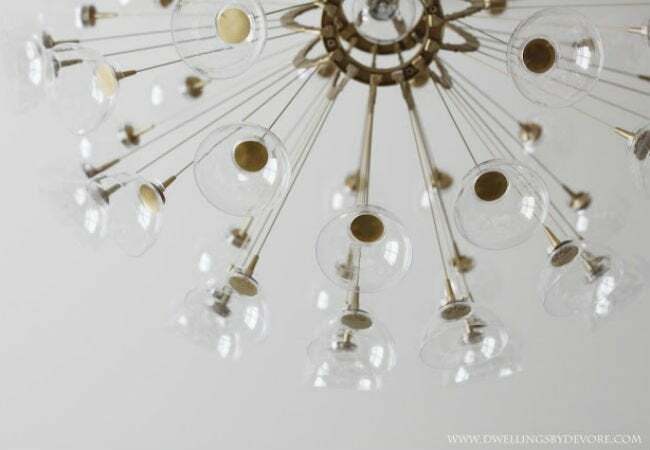 Read on to see how she put together this one-of-a-kind chandelier using gold spray paint and an unexpected material—plastic dessert cups. Bethany began by spray-painting the fixture gold for a luxe look. While the small plastic dessert cups she found on Amazon were the perfect size for the product, the recycle symbols on the bottom of the containers were less so. 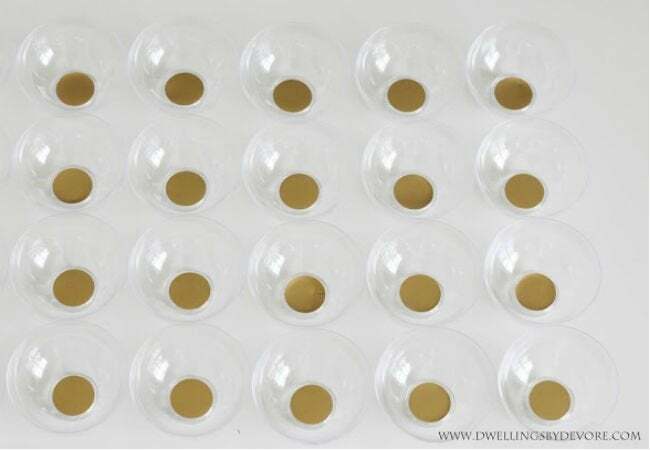 To hide this small detail, Bethany used her Silhouette machine to cut out gold circles from vinyl, and attached them to the base of the cups. After that, she simply hot-glued each cup to a rod of the light fixture and displayed her finished product proudly. For the full tutorial, and for more chic and inexpensive ways to update your home, visit dwellingsbydevore.com.